Good weekend results. The Jet 3HP motor spins freely with no internal noise nor smoke, just the outside casing needs alot of TLC. Probably will inquire about changing out bearing to see the $$$ damage. 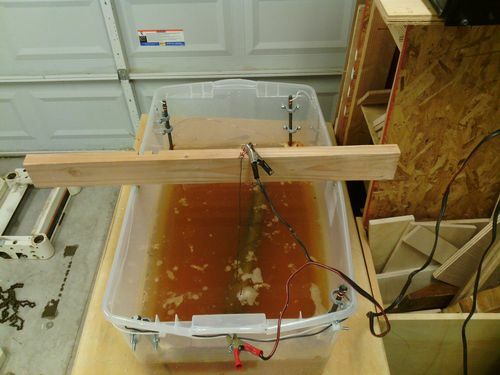 Also, updated my electrolysis tank a little. Used plastic 3/4” brackets to keep the 12” rebar rods in place but yet loose enough to pull out when needed for the smaller tank. 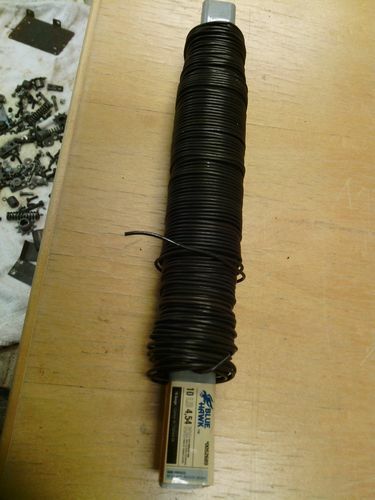 Bought rebar tie wire as that’s the closest thing to steel I could find at Lowe’s, because of the rebar tie wire strength to hold objects in the water as these infeed/outfeed rollers are not exactly light. I have the infeed roller cooking for the last 3 hours and looking much better results in this short time as compared to my half hazard quickie slapped together version 1.0 electrolysis tub. Yes yes, and yes. Moving on up. No reason to even consider changing the motor bearings if they are smooth and quiet. Can’t ask for more, assuming there’s no play in the shaft or anything like that. 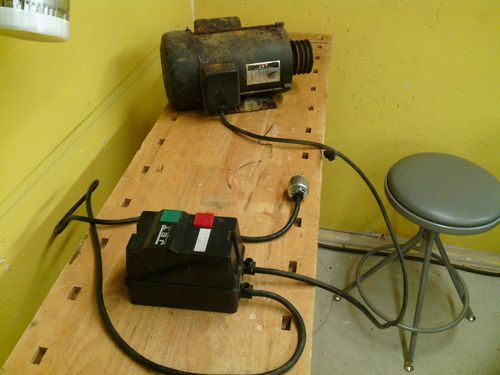 Yes, the motor is the critical and most expensive risk you take when rehabbing equipment. I’m assuming the motor is a baldor or more likely a Leeson, both excellent products. It should serve you well for years to come and worth well more than $100. Your electrolysis is very similar to my smaller setup. Looks professional! Won’t be the last machine or hand tool you use it on, I’ll bet. There is a light at the end of the tunnel, and it’s not a train!